At AccuTemp Mechanical, we work to provide you a single source for all of your commercial facility needs—we even work with commercial cooking equipment! Our expertly trained technicians offer a wide array of services, designed to help your commercial business operate efficiently and economically. 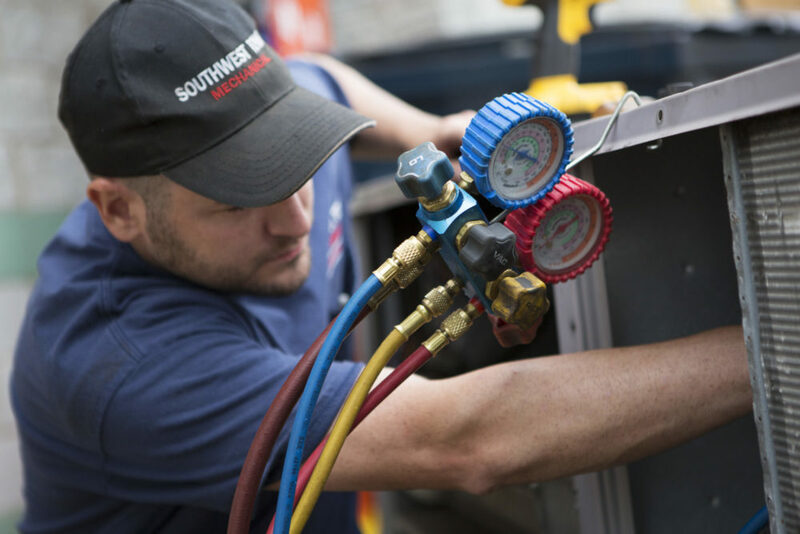 From walk-in coolers to kitchen exhaust hoods, our repair, installation, and maintenance services can take care of all of your commercial kitchen needs. Want to learn more? Contact the experts at AccuTemp Mechanical by calling us at 262-671-4012! If you own a restaurant, you know that the kitchen is the heart of your business—and you need the best, most efficient cooking equipment to keep your business running smoothly. Whether you are replacing an existing appliance or installing a whole new kitchen for your commercial space, you can count on AccuTemp Mechanical. While other companies may go straight for installation, we send a certified technician to take a detailed look at your commercial kitchen. This survey allows us to look at your existing equipment and put a plan together so the new fryer, oven, stove, or other appliance can be installed without mistake. Sometimes your cooking equipment goes haywire or stops working at the most inconvenient time. When you’re running a business, equipment downtime means lost profits and unhappy customers. At AccuTemp Mechanical, we make it our mission to offer fast, reliable commercial cooking repair services to businesses throughout the Kenosha area. As a business owner, you take pride in maintaining a clean and safe kitchen that runs smoothly from shift to shift. Sometimes, however, and unexpected breakdown can put a dent in your kitchen’s productivity. To prevent inconvenient breakdowns that cost you time, money and happy customers, regular preventive maintenance is a must. With AccuTemp Mechanical, we offer preventative maintenance services to make sure your cooking equipment is operating at top-notch capacity. We tailor a preventive maintenance program to meet your kitchen’s specific needs. At AccuTemp Mechanical, we take pride in our attention to detail and are confident that you will get what you want—and more importantly, what you really need. With our commerical cooking equipment services, you can keep your kitchen operating smoothly at all times. Give us a call today at 262-671-4012 or schedule service through our website to see why businesses throughout the Kenosha area rely on AccuTemp Mechanical for quality, reliable commerical service.